Finally there's a solution to clean tasty water on demand - Bottleless Water Coolers, also known as Point-of-Use Water Coolers (POU). Enjoy filtered water 24 hours a day and not worry about running out of clean drinking water! Plumbed directly into a cold water line and use state of the art filtration systems. Save money and forget about storing water bottles, our Bottleless Hot and Cold Water Coolers are a hot new technology that is taking drinking water market by storm! 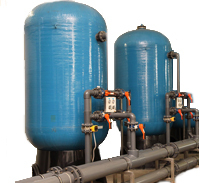 A regular 4-stage filtration, or Reverse Osmosis (RO) models are available. Bottleless Water Dispensers are shipped from several warehouses directly to your home or office. Why use bottles or rent when you can own these simple to use, great looking water machines! Trust us, we've sold thousands of them. Our displayed Prices, plus low cost flat rate shipping in Continental USA is your total cost, what you see is what you pay, no gimmicks. Best Water Coolers, Performance. If you need high filtered water output, our best performing models are FW-500 High Capacity, FW-2000 and our newest model, FW-2500 with 3 gallon tank. FW-500 has built-in scale prevention and will perform very well in California, Arizona, Florida and other locations where scale and mineral deposits are a problem. Sharp Ultrafiltration Cooler and Turbo Ultrafiltration Cooler have largest filters that will last longest before replacement. If you need the best performing model with Reverse Osmosis system, look at FW-2000 filtered cooler and FW-2500, or any of our FW- filters with Reverse Osmosis filtration system, and select a high performance 180 gallons per day membrane.